The holiday season is officially upon us and our tables will first be set for Thanksgiving! From turkey and stuffing to trimming the tree, it’s important that we’re aware of the many safety concerns that go along with the holidays. From the inside of your home to traveling to visit friends and family, there are concerns that every family should take before they begin celebrating! We may not all be Betty Crocker or Rachel Ray in the kitchen, but we certainly strive to cook up a scrumptious meal for loved ones. But if you plan on having a house full of loved ones, you also need to be mindful of safety. According to the National Fire Protection Association (NFPA), Thanksgiving is the leading day for home cooking fires. Therefore, it is important to take fire safety seriously during the holiday season. The kitchen should be designated as a place for the “chef” not children. If you plan on leaving the kitchen at any time, use a timer as a reminder that the stove or oven is on. Make sure to double-check your countertops for anything that could catch fire like oven mitts, wooden utensils, paper or plastic and towels. It is also smart to have a fire extinguisher nearby in case a fire occurs! When dinner is finally served, be sure to turn off all stoves, ovens and small appliances. Buckle up, slow down, and don’t drive impaired. Designate a driver who won’t drink. Turn your headlights on as dusk approaches. Whether you are traveling or busy in the kitchen, we ask you and your family to take precautionary measures this Thanksgiving and the remainder of the holiday season. Please contact our office immediately if you have suffered any type of personal injury or been involved in a car accident. 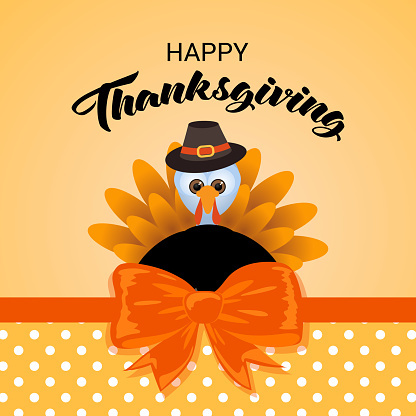 From the Kaine Law family to yours, we wish you a happy and safe Thanksgiving holiday!